Nautical Swing riffs on the architecture of the site’s former Navy base. 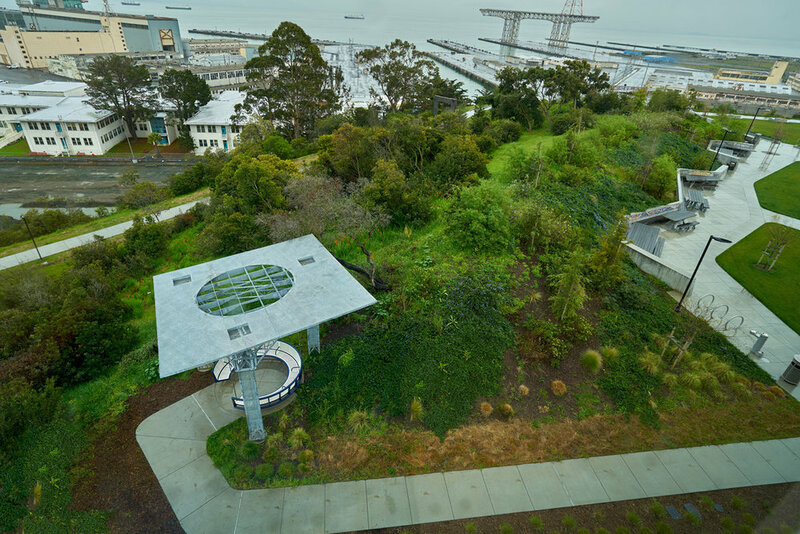 The artwork provides a place where up to a dozen people can relax, converse, and enjoy the spectacular view of San Francisco, Oakland, and the San Francisco Bay while gently swaying on a circular bench —a park-bench/porch-swing hybrid. The perforated steel canopy with its large oculus isolates a radiant view of the skies above.